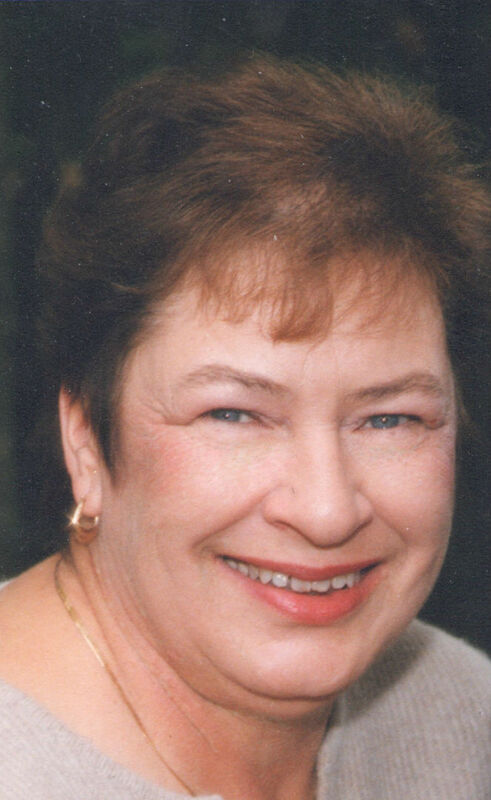 Luann (Conant) Archer, 70, of Milford MA, passed away after a courageous battle with cancer, surrounded by her family, at the Milford Regional Medical Center. She was the wife of George H. Archer for 52 years. Luann, born in Fort Fairfield ME, daughter of the late John and Gertrude (Qualey) Conant lived in Fort Fairfield ME, Mars Hill, ME and Enfield, CT before moving to Milford in 1979. She was a graduate of Fort Fairfield High school, class of 1962. Luann was a loving wife, mother, sister and grandmother. She was a communicant and volunteer at the Sacred Heart of Jesus Church. Luann was also instrumental in establishing the “Caring and Sharing” committee in the Laurelwood condo association, where they have lived for the past 12 years. In addition to her husband, she is survived by her children, Maureen Trettel, her husband Mark Trettel of Milford and their children, Peter, David, Joseph, Andrew, Theresa, Maria, Meghan; daughter Suzanne Niro and her husband, Francis Niro of Mendon and their children Francesca and Sam, Michael G. Archer of Milford; Brian J. Archer and his wife Amanda of Hopkinton RI, their children, Desmond, Emma and Cian. Four sisters, Carol Conant of Orlando FL, Sarah Dolley and late husbund Darrel of Arlington VA, Elaine and her husband James Henris of Winter Park FL, Mary and her husband Philip Marquis of Pinellas Park FL. Funeral will be held Saturday, July 18, 2015 at 9 A.M. from the Consigli-Ruggerio Funeral Home 46 Water St. A Mass of Christian burial will be celebrated at 10 A.M. at the Sacred Heart of Jesus Church 7 East Main St. Milford Ma. The burial will be at the convenience of the family. I love you gram! Can't wait to see you again! Thank you Gram for being the best Grandmother anyone could ever ask for. You will be missed so much, but I know I will see you again one day in heaven! I love you gram so much!!! I'm going to miss you Gram but I know I'm going to see you again, I love you so much! Always love you Luann, I will miss our talks and your laughter, beautiful woman inside & out. RIP. Your cute sister-in-law Ann. I love you so much Grammie. You are an amazing woman and I'm lucky to call myself your granddaughter. Thinking of you always! God bless you, I love you. Laurelwood has lost a cherished friend and neighbor with Luann's passing. She enriched every life she touched. My sincere condolences to George and the family. We will dearly miss Luann, we have had the pleasure of knowing and calling Luann and George one of our dear friends for over 30 years. God bless her and her family, we offer our sincere sympathy to all. Our hearts go out to the Archer family. You made many friends when you lived in Mars Hill. God bless you all, and someday you will all meet again. George & Family We all have many wonderful memories of Luann. We wish we could be there to meet her family because it has been so long since wehave seen them. Maureen, Suzanne you were both so young. Sons I don't remember seeing you. Our deepest sympathy to all of you. We had such a wonderful visit at our class reunion.in 2012. We will all meet again in heaven. Come and see us if you are in the County. Classmates of 1962. We are so sorry for the loss of your beautiful mother, Luann. You and your family, and especially your mother will be in our prayers ceaselessly. Mr. Archer, We are so sorry to read about Luann. Thinking of her brought back the many memories we had with you and her especially our senior year. All the times we spent at your home and with the both of you. I learned a lot about life from you. We thank you for all you and Luann did for us. Best wishes and God bless. Hi Suzanne, My heartfelt thoughts are with you during this difficult time. Shirley Dionne Smith class of " 62"
I am truly sadened by the Loss of your Wonderful Wife,a Great Person and Mom. We remember her fondly at all the Pillsbury Family outings. Our Thoughts and Prayers are with the Archer Family. George and family I am so sorry for your lost she was a great lady and kids your dad is great person also . You can bet she is looking down on you. I'm so sorry for your families loss! I feel blessed to have known Luann and your wonderful family even if for a short period of time. Keeping your family in my prayers!